The idea was that previously, only the largest companies were able to afford the latest and greatest best in the world kind of tools that were being used to manage, track, support and analyze the different operations of their business. That was because in order to get what was then a best in the world business software tool, you needed to first spend an enormous amount of money upfront to buy the software and hardware required. Then even more money was paid to consultants to set up the software and then to customize it properly and then to maintain it over time. No small business was able to make such an investment. 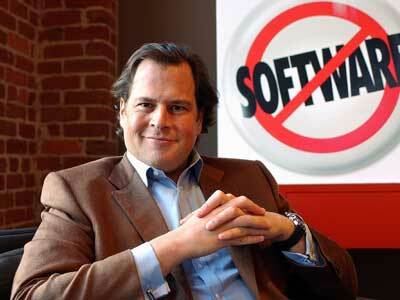 When Marc Benioff created Salesforce.com, he changed the paradigm. Now his customers would simply pay a monthly fee for each employee who needs access to the service which runs entirely over the Internet. There is no software to install and there are no servers to purchase and maintain. We immediately signed a multi-year contract with Salesforce.com. Back then there were no pre-built applications on Force.com specifically designed as an agency management system for the group health insurance broker. So we hired one of their best consulting partners to customize the platform for our group insurance broker business. Immediately, the investment had a tremendous impact. I went from being one of the cogs in the wheel of client service operations to being able to say “look mom, no hands!” I could focus my efforts entirely on selling new business. From that point on, every 6 or 9 months we would re-engage with that same consultant and continue to invest in the application by building out additional functionality. We had a feature request list. Each time someone in our office would say “wouldn’t it be great if….”, we called that a feature request and added it to our list. Over the last 8 years as we built out our wish list of features, the application evolved into a complete group insurance broker agency management system that streamlines the process of selling and servicing group insurance from the perspective of the broker and the general agent. BenefitsGuide is essentially the Force.com platform customized for the group insurance agency. For more information on how you can make this work for your business, contact sales@benefitsguide.com or call 646 461 3000.